Whenever there is a discussion or debate about the greatest teams in baseball history, there is one candidate guaranteed to be in the mix: the 1927 New York Yankees. Their 110-44 record tore apart the American League, but opponents were almost too stunned by the display of sheer power to notice the standings. Babe Ruth, in his epochal 60-homer season, famously out-homered every other team in the AL. 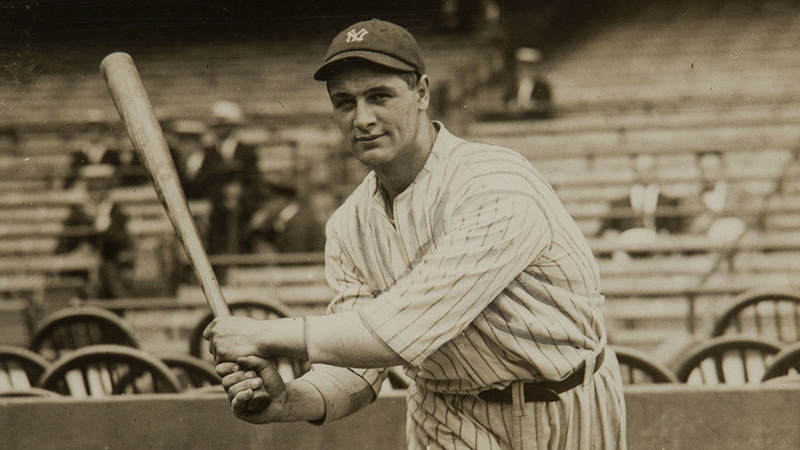 It was salt in the wound that Lou Gehrig, with 47 round-trippers, himself out-homered half the teams in the league, by double digits. The lore began springing up around the ’27 Yanks well before their World Series sweep of the Pittsburgh Pirates capped the season. Their lineup acquired a classic nickname that has stood the test of time. The batting order fronted by Earle Combs, Mark Koenig, Babe Ruth, Lou Gehrig, Bob Meusel, and Tony Lazzeri would ever after be known as Murderers’ Row. Koenig’s light hitting didn’t really earn him a two-hole spot, certainly not as batting orders are constructed today. I doubt he ever complained of his good fortune. There’s one small hitch to the story: it wasn’t the first time the Yankees had been called “Murderers’ Row.” Nine years earlier, an entirely different Yankees lineup earned that moniker from sportswriters. The 1918 squad did boast Frank “Home Run” Baker, but supporting players like Roger Peckinpaugh and Wally Pipp—yes, that Wally Pipp—not to mention Frank Gilhooley and Ping Bodie, don’t quite resonate with fans in the same way that Ruth and Gehrig or even Combs and Lazzeri do. This label would stick with the Yankees for years, as they remained an offensive force straight through to World War II. However, unlike the general praise of “Murderers’ Row,” this was a specific boast tied to a particular point in their games. It wouldn’t be fair to ask whether, say, the 1941 Yankees lived up to this standard. For the 1927 version that earned the sobriquet in the first place, though, it’s more than fair. Presumably, there were a few games with a score close together that impressed someone enough to coin the term and start the ball rolling. (As I will show later, this impression may have come very early.) My question is whether the team deserved the reputation over its entire season. Did the 1927 Yankees have a gift for five o’clock lightning, or just a reputation for it? A fundamental question we must ask is, what constitutes five o’clock lightning? There are three components: the timing, the magnitude of the rally, and the score when that rally happens. There is, naturally, no way to put a specific time of day on late innings in games played 90 years ago: it would be tough and tedious enough to do for games today. The best we can do is approximate. An hour and a half into a two-hour game puts us roughly in the seventh inning. Given the variation in game times, we can spread that out to between the sixth and eighth innings. I will look at those innings for evidence of five o’clock lightning. How large a rally constitutes lightning? I decided that it needed to be at least two runs in a single inning. One run, even if it breaks a tie or moves the Yankees from a deficit to a tied game, is not powerful enough for the imagery. What must the score be like before, and after, lightning strikes? In general, the Yankees needed to be behind, tied, or just one run ahead. I made discretionary exceptions for bigger leads when the rally was very large. For example, when the Yanks scored seven in the top of the sixth of a July 4 nightcap to move from being up 8-2 on the Senators to up 15-2, I counted it. Three weeks later, when they scored seven in the bottom of the eighth to turn an 8-1 lead against the Browns into 15-1, I did not. The Senators were looking at four innings to make up six runs; the Browns had one inning to score seven runs. That made the difference in the demoralization effect for me. And the rally itself needed, at least, to pull the Yankees even with their opponents. I considered a discretionary override if a big enough rally pulled the Yankees close and a subsequent inning moved them ahead, but decided against it. The one time I counted such a game, the later innings that gave them the lead and then extended it both fit the “Five O’Clock Lightning” criteria by themselves. That is the “bottle” containing the lightning. I’ll now set that bottle aside, while I look at the problem from a more general angle. Were the 1927 Yankees producing more runs in the sixth to eighth innings than we should have expected? As you likely know, run scoring is not evenly distributed across innings. There is a peak in the first inning, because the standard batting order is arranged to get the team’s best hitters up and working together to score then. There’s a subsequent drop in the second inning, when a weaker group of hitters than average is likely to be batting. After that, the distribution evens out quickly. There is no pattern in the late innings with which I’m concerned—or at least, that’s the theory. When I looked at the 1927 Yankees’ scoring rates by innings, I did so not just in isolation, but in comparison with the rest of the American League. This doesn’t mean measuring the Yankees’ sixth inning against, say, the Red Sox’s sixth: New York had an historic offense, and Boston didn’t. It means sizing up the Yankees’ sixth (through eighth) against their own per-inning average, then checking it against the same ratios for the league as a whole. There is unfortunately some fuzziness involved. Records for scoring by inning are complete for the 1927 Yankees, but the other teams in the AL have games missing from that record, from as few as two for Cleveland to 58 for Detroit. All I could do is make the calculations with the games at hand, and acknowledge that they aren’t perfect. I measured scoring rates for the Yankees and for the whole American League, per individual inning and per game. I then compared the inning rates to the game rates, to see when the Yankees and the AL were scoring more or less than the average. Making the comparison by difference (i.e., subtraction), the numbers look like this. By either method, in the innings comprising five o’clock lightning, only in the eighth did the Yankees show a notably better performance than the league at large, though it was by a wide margin. One out of three isn’t too convincing. If we look at the numbers for the Yankees alone, compared to themselves, and the view does change. The sixth and eighth innings outperformed the average by over 0.075 runs per inning (or 0.675 runs per nine) apiece, while the seventh falls short by less than 0.015 runs per frame. Given that these figures are based off a quite high average to start with, this makes a very good platform on which to build lightning innings. Another angle on the question is how often the ’27 Yankees produced multi-run innings, independent of the game score. This requires a touch more than raw counts, because games called for rain or darkness meant that late innings were played slightly less often than early ones. This is in addition to the team frequently not having to play the bottom of the ninth at home, or having its scoring curtailed when the winning run comes across. Against an average for the first nine innings of 18.8 percent, the lightning innings are fairly clustered in the middle of the pack for multi-run action. Their high run averages ended up coming partly from a few huge rallies. Eight of the 11 times the ’27 Yankees scored six or more runs in an inning, it came between the sixth and eighth. The surprise is the ninth, which almost matched the eighth’s good rate of multi-run eruptions. Those relatively few times when the Yankees had to bat at home in the ninth didn’t throw off the average. Those late rallies, though, did not produce much ninth-inning drama: the team had a paltry three walk-off victories. Half-past-five lightning was not a notable skillset on this team. These distant looks at the question show us varying prospects, from middling to very good, for five o’clock lightning. The peripheral numbers suggest much and prove nothing, so it’s time to face the question directly. How often did five o’clock lightning strike for the 1927 Yankees? Using the three criteria I laid out earlier, I checked every game the Yankees played that season. They had 40 games that meet the definition, 21 at home and 19 away. If you want to throw in the World Series, two of their four games against Pittsburgh were touched by lightning. The Yankees couldn’t maintain that pace. The lightning declined, appearing in just 10 of their next 38 games, perked up slightly to 14 of the following 50, then sagged to 10 of their final 55. The early lightning storm, though, seems to have been enough to set the narrative. Their overall offensive potency sufficed to maintain it through the subsequent, less electric period. Though I’ve answered the quantitative question, the bigger one hasn’t been pinned down: was this a historically unique performance, worthy of producing such a catchphrase? Have other great teams do as well as the 1927 Yankees did, or better? I looked at a few more recent champions, and one not-so-recent champion, to make comparisons. The non-recent champ was a successor to Murderers’ Row, the 1939 Yankees. They were an offensive match for the ’27 crew, scoring eight fewer runs in three fewer games, and playing in a similarly high-scoring era. While they underperformed their average run rate in the sixth inning, they over-performed it by a like margin in the seventh and eighth, and thus had the underpinnings for great five o’clock lightning production. It didn’t work out that way. I tallied 31 lightning games for the 1939 Bombers, nine behind their 1927 cohorts. It took until their 19th game for their first lightning strike, by which time the 1927 Yankees had already had eight such games. Part of the problem, from subjective observation, was that they were running up big leads in early innings, making a big strike in the sixth to eighth a mere pile-on. Not a bad problem to have—indeed, it’s not a problem at all—but it doesn’t make for late-inning drama. Not so. Their run production in the sixth to eighth fell below their mean; it was the third through fifth where they piled up runs. They wound up, like the 1939 edition, with 31 lightning games, and that coming with a longer schedule. In contemporary times, I checked the 2016 Cubs, that lovable, league-lapping, history-making club. This was a mistake. Only 18 times in the whole regular season did they score as many as five runs in an inning, and never more than six. They scored just over five runs per game, with the lightning innings roughly matching the mean. They had 29 lightning games in 2016. I would say that the storm clouds avoid Chicago in the mid-afternoon—except the one time I got to attend a Wrigley Field day game (with a few THT stalwarts), it got washed out! Last licks went to last year’s Houston Astros, a team that won praise as an offensive force. The raw numbers, however, put them some distance behind the 1927 Yankees, having scored a ‘mere’ 896 runs in 2017. They did outdistance the Cubs of 2016 in big innings, though, by 26 to 18. The 1927 Yanks had 28 such innings—but the 1939 Yankees had 38, so that is no guarantee of a lot of lightning games. Lightning can come with as few as two runs: it’s all in the timing. Houston had good timing. 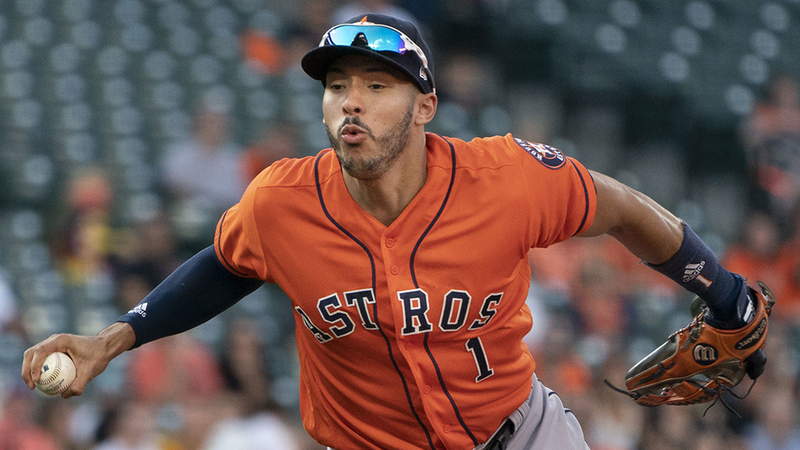 The Astros had 39 lightning games in 2017, not counting four more in 18 postseason contests. They had the very same fast start as the 1927 Yankees: six strokes of nine o’clock lightning in their first dozen games. Their big number still left them one short of the Yankees’ mark, in seven more games played. Given their lower overall scoring rate, however, the Astros’ lightning skill (if such a thing exists) may rank as better than the 1927 Yankees’. The 1927 Yankees did have a penchant for big, late rallies that changed the complexion of their games. Their underlying statistics show moderate, if inconsistent, underpinnings for “Five O’Clock Lightning,” but the team outdistanced those numbers, especially in an early surge that set the tone for the historic year. Looks at other famously excellent teams show the Yankees’ lightning to have been unusual, though not unique. It is still debatable whether the ’27 Bronx Bombers had a true talent for erupting when the shadows began to lengthen. If clutch hitting skill, which intuition tells us ought to exist, vanishes whenever we turn an analytical eye toward it, how can an aptitude this odd and esoteric not be an illusion as well? Perhaps the answer is that the skill of five o’clock lightning was as enduring as the team itself. The Yankees won the pennant and the Series the next year, after all, but with nine fewer wins and not remotely as much awe. Wasn’t it the same team? Shouldn’t the Yankees’ excellence have been sustainable? It was, and it wasn’t. Excellent they still were, but historic was another matter. Five o’clock lightning may have been an ancillary property of a team the likes of which baseball had never seen before, a manifestation of its amazing offense. Sustaining it may have been theoretically possible but, as many championship teams have learned, elusive in practice. It struck, then it was gone, even as the thunder echoed down the years. Baseball Reference was my main source for this piece. Kudos to B-R and Retrosheet for having as much detail as they do for games more than 90 years old.